Here at Taylor Recovery Sober Living Houston, our mission is to help our clients recover from substance abuse and watch their “life take on new meaning”. A key principle of accomplishing this mission on part of both staff members and clients is dedication to service work and finding fulfillment in it. On the level of both our sober living staff and licensed counselors, meeting the needs of our clients is a top priority rooted in service. It is a well understood fact in the recovery world that helping others not only does good to the one who is helped, but brings about a great benefit to the person who is helping. Furthermore, the nature of the substance abuse field is one that calls each person to cultivate keen insight into the nature of addiction as well as genuine care and empathy, which together aid in effectively reaching others as they journey the road of recovery. Having an awareness of the importance of these qualities, Taylor Recovery staff members strive to always put them into active practice. Dedication to service is not just limited to staff members at the Taylor Recovery Center but extends to our clients as well. As is the experience of many who are in active recovery, when one begins to experience the freedom and healing from addiction a natural shift can take place to begin seeking out ways of giving back, or engaging in service work. One aspect of the individualized recovery program that our clients receive at the Taylor Recovery Center to help them engage in fulfilling service work is the opportunity to work a recovery program with a sponsor. Our clients are highly encouraged to incorporate this into their recovery plan because of the life changing effect it can bring about. Sponsors are not only able to guide their sponsees through a recovery program, but also provide them with opportunities to help others. Another great quality of the Taylor Recovery sober living experience is that when our clients first move in they encounter an entire community of people, of all different backgrounds, striving for the common goal of recreating their lives and staying sober. 65-70 clients are calling Taylor Recovery home along with 3 live-in onsite staff members. Our vibrant community made up of clients and staff members welcomes each new client warmly to Taylor Recovery. Our clients will find that making friends is easy and that our community finds fulfillment in helping each other in their recovery or in any simple daily matters. In essence, service expressed through genuine friendships and meeting the needs of others is highly regarded at the Taylor Recovery Center by both the level of clients and staff members. At Taylor Recovery we understand that having the unconditional love of a pet can provide genuine companionship while one is embarking on the fulfilling road of recovery. Additionally, research has shown pets impart many benefits to their caregivers, especially those in recovery. As reported by Emily Battaglia in her article “How Pets Help Treat Addiction”, “research has shown that animals have the power to soothe, console, and uplift their human companions”. It is further stated in Emily’s thorough report that “Pet owners who have good relationships with their pets consistently report lower stress levels.” The relationship between pet and owner can also allow for emotional healing to take place and for an increase in self-esteem. 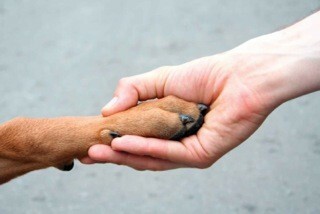 Not only does having a pet provide companionship, but also a healthy level of responsibility. Providing for a pets needs allows for consistent upkeep, that when carried out, strengthens work ethic – yet another important trait that is sharpened in the recovery process. We at Taylor Recovery strive to give our residents the amenities and services that allow for the best environment to grow in their recovery. Taking into account proven research, as well as countless personal experiences of the joy that comes in companionship with a loving pet, we are proud to offer the only pet friendly recovery community in the city of Houston.